Global production giant Endemol Shine Group (ESG) has appointed a former Viacom and Discovery executive as CEO of its German arm. Magnus Kastner is taking over as CEO of Endemol Shine Germany, replacing Marcus Wolter whose departure was announced at the turn of the year. 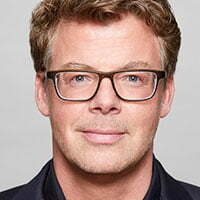 Kastner has been in the industry for 25 years, including stints as CEO and executive VP for Northern Europe at Viacom International Media Networks and senior VP and general manager of Discovery Networks Deutschland. He was also president of Rotana Media Group in Dubai and, most recently, CEO of LA-based eSports company Turtle Entertainment. Starting next month, Kastner will report to Boudewijn Beusmans, chairman of Northern Europe for ESG. The company will continue to be led in the interim by director of reality and documentary Rainer Laux, chief financial officer Ute März and head of strategic development Gabi Abegg. Endemol Shine Germany’s current slate includes entertainment format Big Bounce Battle (developed with Endemol Shine Netherlands), which has just been ordered for a second season by RTL. The company also produces MasterChef (Sky), Celebrity Big Brother (Sat.1), The Wall and Who Wants to be a Millionaire? (both RTL). The firm includes joint-venture companies Florida TV in Berlin, METAproductions and Wiedemann & Berg Television. The latter produces Dark, the first original German drama ordered by Netflix.